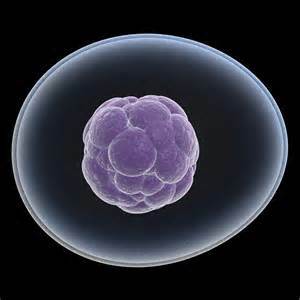 Some people believe that stem cell therapy and regenerative medicine are new or emerging treatments. And while research on the benefits of mesenchymal stem cells and prolotherapy is constantly gaining new ground, the truth is that medical professionals have been working with stem cells for decades. And while medical procedures like organ transplants are considered not only routine, but a necessary lifesaving part of the medical landscape today, there was once a time when the idea of transplanting a heart, lung, kidney, bone marrow, and even a face from one person to another was considered revolutionary, if not impossible (and maybe a little terrifying). Since well before the dawn of the Human Genome Project in the early 90s, scientists, doctors, geneticists, and researchers have been working on ways to figure out how to use the body’s natural mechanisms to understand human disease and to find treatments for everything from cancer to male pattern baldness and chronic knee pain from arthritis. And while the benefits of stem cell therapy have started to become more widely understood over the past decade, the research into their effectiveness in regenerative medicine have been underway for years. The orthopedic and sports medicine team at Meier Orthopedic Sports and Regenerative Medicine (MOSM) in Beverly Hills, led by board-certified orthopedic surgeon and regenerative medicine expert Dr. Steven Meier, offers patients several regenerative medicine treatment and stem cell therapy for a range of conditions and injuries. Chronic back pain, whether due to an acute injury like a sudden muscle strain or ruptured disc, or from the slow progression of degenerative disc disease, has forced millions of people to live in agony, compromising their quality of life, for generations. With regenerative injection therapy (RIT), the MOSM team uses mesenchymal stem cell therapy to strengthen the discs and promote healing using the body’s natural processes rather than relying solely on conventional treatments like steroids, painkillers, and surgery. To learn more about how regenerative injection therapy can help to ease back pain, contact MOSM at 310.736.2793. But the idea of introducing an irritant into a joint space or damaged connective tissue to stimulate the production of collagen and the body’s healing response in order to improve function and relieve pain has actually been around much longer. In fact, reports suggest that an early version of the treatment can be traced back to the Roman Empire, where needles were used to stimulate healing in the arms and shoulders of battle fatigued gladiators. At MOSM, Dr. Meier and his team administer classic dextrose prolotherapy, as well as enhanced versions supplemented with platelet rich plasma and mesenchymal stem cells to accelerate the degree of tissue repair and healing inherent to those treatments. Because everyone responds to treatment and heals from injuries differently, a program that might prove successful for some might offer little to no results for others. When conservative treatments like medication and physical therapy are inadequate to treat an injury or alleviate chronic pain, regenerative medicine and stem cell therapy can offer hope for relief. To learn more about stem cell therapy and the regenerative medicine treatments that will work best for you, contact a specialist at Meier Orthopedic Sports and Regenerative Medicine in Beverly Hills by calling 310.736.2793 to request a consultation today.